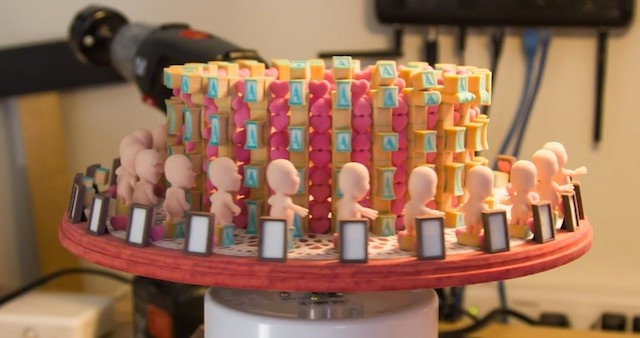 Animator Ray McCarthy Bergeron’s re÷belief short created from 3D-Printed Zoetropes #3DxAnimation #3DThursday #3DPrinting « Adafruit Industries – Makers, hackers, artists, designers and engineers! “A personal story told in a cyclical way begs for zoetropes to be used,” McCarthy Bergeron told The Creators Project. 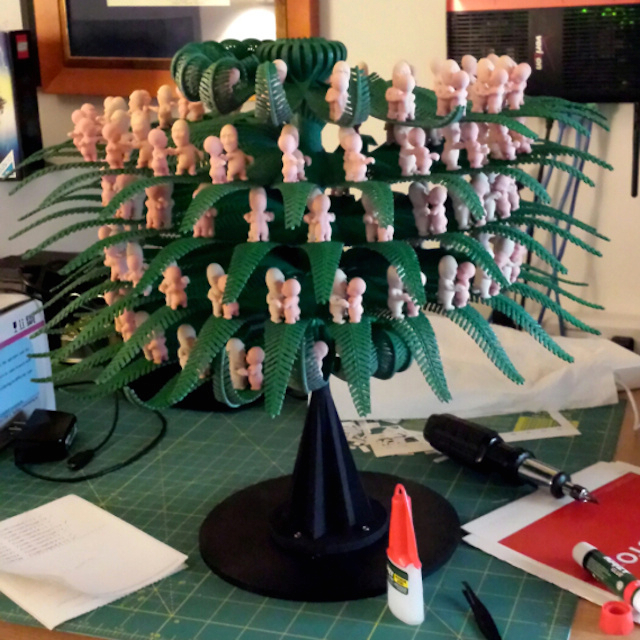 “With a focus on relationships, faith, and love as a reoccurring motifs, I wanted to manifest these haunting, memory cycles into physical forms, and the best method was to combine 3D printing with animated zoetropes.” The result is a truly unique aesthetic style: the increasingly familiar filament stacks associated with 3D-printed objects energetically brought to life through a seemingly antiquated animation mechanism. So far, only the brief trailer above is available to the public, but McCarthy Bergeron is planning on taking re÷belief to the festival circuit as soon as possible….